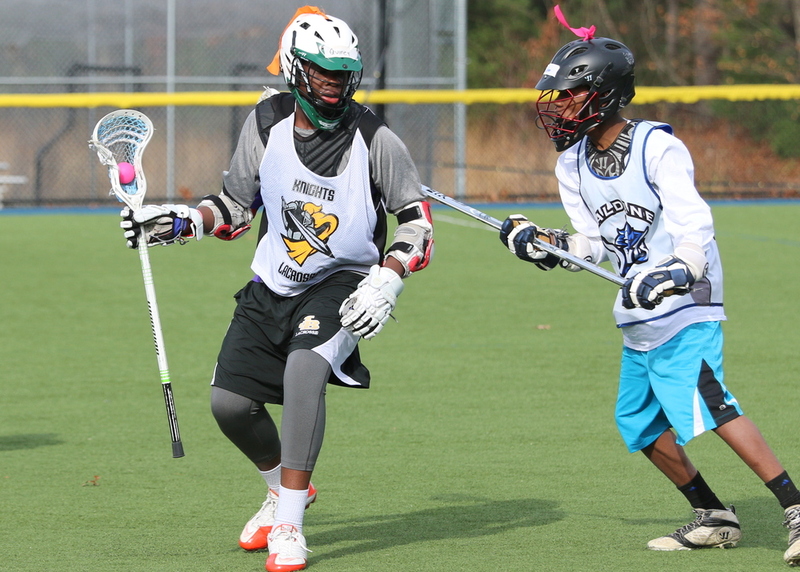 In what has become the highlight of the fall season, the PS 149 boys and PS 76 girls traveled to Sudbury, Massachusetts on November 13, 2015 to spend the One Nation tournament weekend with families involved in the local youth lacrosse organization. Both boys and girls spent Friday night in smaller groups to get acclimated with each other and their host families. 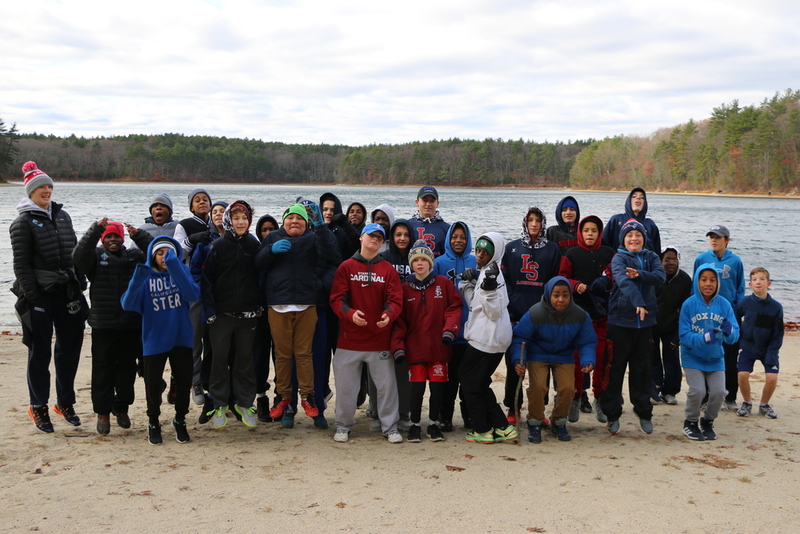 The boys from PS 149 spent Saturday morning at Walden Pond where they learned about the history of the area and former resident Henry David Thoreau. After a morning of serenity, the boys went to the Fenn School for an up-tempo and energetic clinic. Later that night, the PS 149 student-athletes went bowling and bonded as one big group with their host families. 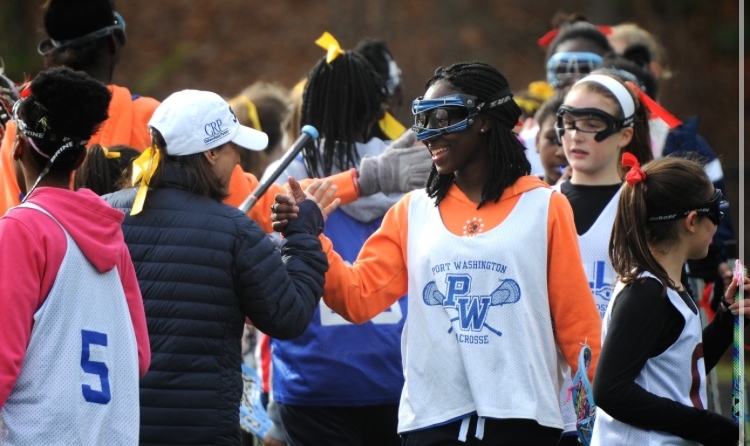 For the PS 76 girls, Saturday started with a clinic hosted by the Tufts women’s lacrosse team. 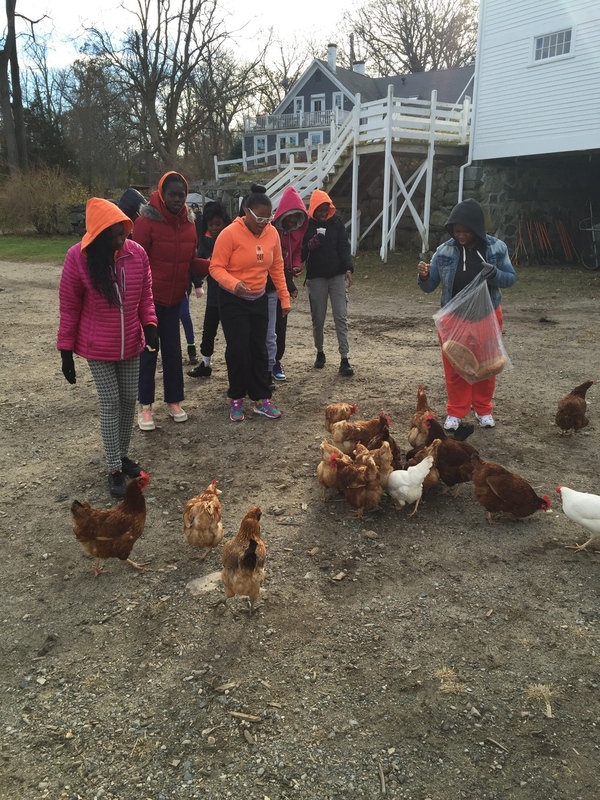 They then visited Codman Community Farm in Lincoln, MA, where they learned about agriculture and were able to chase chickens and feed pigs! The evening concluded with a yoga session and indoor lacrosse played with several middle school teams from Sudbury and the surrounding towns. Sunday morning, both groups woke up early to play in the One Nation tournament, which was an unbelievable success. A huge thank you to all our hosts in Lincoln-Sudbury, especially Kelly Frissora, who again dedicated so much time this year to making the trip possible, and Melissa Ross, who helped make the PS 76 girls’ first One Nation Weekend an unforgettable one!